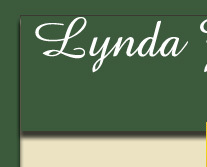 Hi - I'm Lynda Williams, owner of Lynda J. Williams Design. I've been creating web sites since 1996, when I started as the sole intranet design and maintenance person for the Global Marketing Division of Ford Motor Company outside Detroit, MI, and continuing over the next 17 years (and counting!) to create both large and small web sites in several industries before settling in with singers, filmmakers, and non-profits. Surprisingly, I discovered that I didn't like being my own boss and moved back into the office administration world where I could guarantee a steady, reliable income to cover my expenses without stress, and do what I love to do the rest of the time - create simple, attractive, highly functional web sites for family, friends, and friends of friends. The fact that you're here means someone recommended me to you. This gives me the freedom to accept just one or, at most, two projects at a time and make my clients my number-one priority without burning either of us out. Don't let the simplicity of this site fool you - I won't take the job unless I know I can give you exactly the web site YOU want, and I won't leave you hanging on that decision. My pricing structure is very simple - you tell me how you want the site to look and function, when you need it to go live, and what your budget it, and we work together to come to an agreement that's fair to both of us and fits in your budget. Pricing is effected by complexity, time constraints, and whether or not you provide me with copy and images, or I have to write/edit copy and create original graphics for you. So, check out my portfolio, then use the form on my contact page to contact me for a bid, and let's get started! The first consultation is always free. All text and images copyright ©2013 by Lynda J. Wiliams Design. All rights Reserved.